Centrify offers Unified Identity Services to businesses across various industries. Its solutions make for one single login destination and infrastructure to be used across all corporate platforms. Centrify has deployed its software and cloud solutions for over 5,000 customers and is headquarted in California with additional office branches in Washington, Hong Kong, and London. 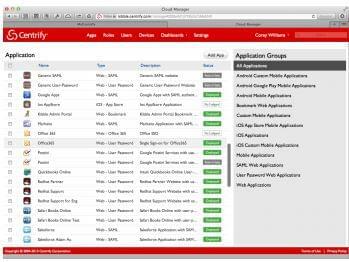 Centrify’s cloud-based mobile device management (MDM) solution is a component of its larger Centrify User Suite package. It offers a simple mobile experience with heightened security for enterprises through a centralized authentication process. This platform offers a compromise between the IT departments concerned about the security risks bring-your-own-device (BYOD) can present and the employee’s desire to use personal devices. With the Centrify User Suite, owners of mobile devices have access to a self-service portal where they can control their own account details, as well as lock and wipe their own devices remotely, if necessary. The User Suites comes with single sign-on authentication so that multiple apps can be accessed with a single password. There are also flexible admin controls so that access to specific apps can be easily restricted for certain classes of users, and additional authentication steps can be added if desired. The company is Mac-centric, but supports Android devices in the Premium and SaaS editions of the Centrify User Suite. Grand Island Public Schools, located in Nebraska, implemented the Centrify for Mac and Mobile solution to provide quicker and more comprehensive access management, password protection, and authentication abilities for its users. The implementation of the system provided a far more streamlined environment for administrators, and allowed for a variety of different devices to access the environment quickly and easily. 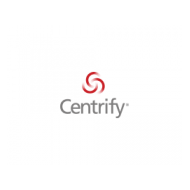 Learn everything you need to know about Centrify. Our experts will reach out to you shortly.